I get so many questions about these machines that I’m giving them their own special page on my blog! Keep reading! 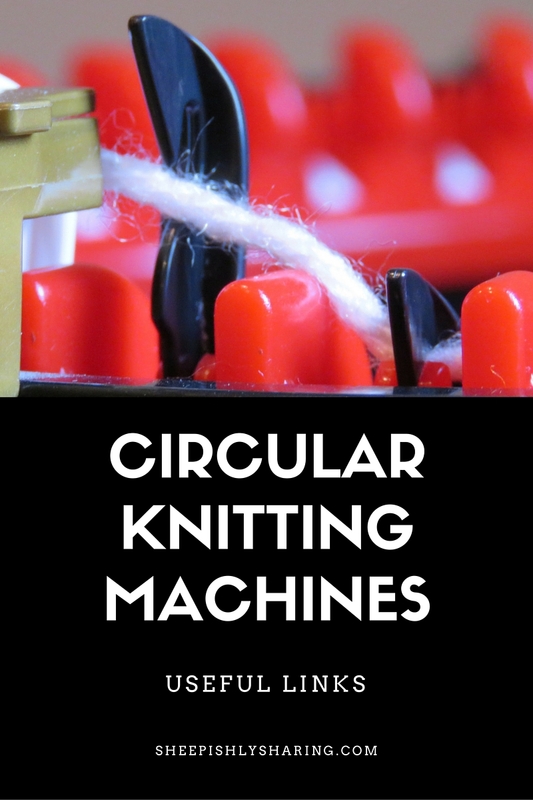 Click here for Beginner Tips for Circular Knitting Machines. These tips work for all brands. Girl’s Creator (Inexpensive option for small machine.) I own this one and you can see my review HERE. Star Weaver (Inexpensive option for small machine I own this one and you can see my review HERE. Innovations (44 needles; cheaper option for larger machine that I learned of by word-of-mouth): Google it! Michael’s Craft stores carry the Loops & Threads Knit Quick which I DO own and recommend. (40 needles… in-between size) See it’s review HERE. UPDATE: This machine seems to be inconsistent in production quality. Many people report broken gears soon after purchase while others do not. Mine lasted a good while but I eventually wore it out, too. HERE is my follow-up review. There are others but I don’t have first-hand knowledge of them OR have heard any reviews from people I trust yet. “Can this thing do purl stitches?” The back of a knit stitch is a purl so if you turn the work over, then yes… it can purl. However, if you’re asking if it can do ribbing (alternating pattern of knit and purl stitches on the same row), then the answer is: “sort of.” While there is no ribbing attachment or option for this machine, the rib can be achieve through manual manipulation. I demonstrate it here. “The tube from a 22 needle machine seems narrow. What is it good for?” Depending on the yarn used, the width of the flattened tube will be around 3″. This is perfect for children’s scarves and quite frankly for petite women! I’m 5′ 2″ 115 lbs and it’s perfect for me. I look overwhelmed in wider, thicker scarves. You can also make mittens and tube socks assuming the wearer is of average size. Preemie hats for hospital donations is another popular use. Don’t forget the flat panel option to get a wider strip (not a tube) and you can also sew flat panels together to make virtually anything. “Where is your Addi Tutorial for _______________?” All my Addi Tutorials can be found HERE. “I don’t have an Addi. Will you make tutorials for my machine?” There’s no need! What works on the Addi will work on other circular knitting machines. You may have to adjust patterns/sizes for your machine (some differ in number of needles) but the concept is the same. “What’s the name of that Addi Facebook Group you like so much?” That would be Addi King Loomers and Knits owned by Suzy Notting. At the time of this posting, she has created the most comprehensive list of projects, info and tutorials that I know of and pinned post at the top with a link to the library for easy reference! Note that this group is for ALL yarn crafts but it’s the best resource for Circular Knitting Information. There are plenty of people there than can help you with specific questions, too. Also, a recently established treasure is Fatima’s Addi King and Pro Techniques on Facebook! Fatima is the master and can make these machines do her bidding!